USPA NEWS - Nicolas Hulot, Minister of State, Minister for Ecological and Solidarity Transition, Jean-Yves Le Drian, Minister of Europe and Foreign Affairs, and Frédérique Vidal, Minister of Higher Education, Research and Development Innovation, participated in the Intergovernmental Panel on Climate Change (IPCC) 's 30th Anniversary Day , from 13 to 16th March, to review key milestones in climate science, its causes and impacts. Nicolas Hulot, Minister of State, Minister for Ecological and Solidarity Transition, Jean-Yves Le Drian, Minister of Europe and Foreign Affairs, and Frédérique Vidal, Minister of Higher Education, Research and Development Innovation, participated in the Intergovernmental Panel on Climate Change (IPCC) 's 30th Anniversary Day to review key milestones in climate science, its causes and impacts. FRENCH MINISTRY OF ECOLOGY AND SOLIDARITY TRANSITION ANNOUNCES THE CLIMATE PLAN OF 6 JULY 2017--------------------------------------------------------------------------------------------------------------------------------------- As Nicolas Hulot announced, during the presentation of the Climate Plan on July 6, 2017, France hosts the 47th plenary meeting of the IPCC in Paris from March 13 to 16, 2018 in the presence of 500 delegates from over a hundred states -members of intergovernmental organizations and NGOs.----------------------------------------------------------------------------------- A SIGNIFICANT INCREASE OF CONTRIBUTION OF 1 M € PER YEAR BY 2022 ANNOUNCED BY J Y LE DRIAN On the other hand, Jean-Yves Le Drian, confirmed the significant increase of the contribution of their two ministries to the IPCC to the tune of 1 M € per year until the publication of the sixth evaluation report in 2022. This announcement concretizes the the commitment of the President of the Republic taken at COP23 and confirmed at the One Planet Summit to support climate science and what remains to date the largest scientific cooperation project ever undertaken.-------------------------------- With the financial assistance of other states, especially European ones, the IPCC should be able to conduct its work throughout the 6th cycle, which will end in 2022. Expected for this date, the next evaluation report ( AR6) will serve as the scientific basis for the first global assessment planned in 2023 by the Paris Agreement in order to measure the efforts made by the international community in the fight against climate change and to raise the global ambition of the States. 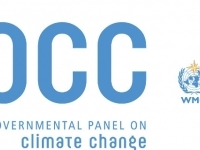 "The IPCC is science and awareness of the fight against climate change. 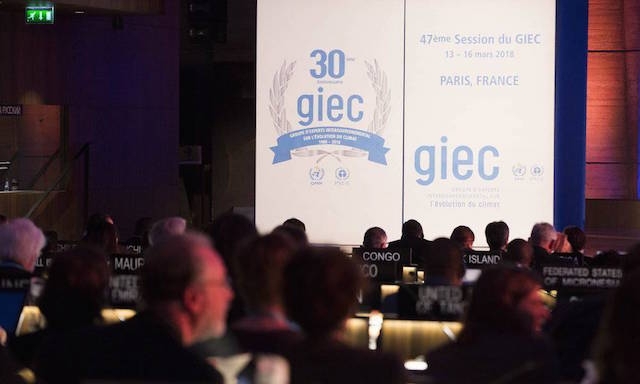 France, with its funding and researchers, is committed to ensuring that this unprecedented scientific cooperation, which in particular led to the Paris agreement, is protected and remains a reference, "said Nicolas Hulot.------------------------------------------------------------------------------------ Jean-Yves Le Drian emphasized in his speech: "The importance of the work of the IPCC is well established. You have spearheaded global awareness of global warming. You have become the scientific and intellectual consciousness of our political commitment to fight this threat to the future of our planet and its peoples. " FREDERIQUE VIDAL SAYS THE IPCC IS THE FERTILE INTERFACE BETWEEN SCIENCE AND POLITICS Frédérique Vidal said: "The story of the IPCC is indeed that of a fertile interface between science and politics that has steadily gained in relevance and effectiveness in gradually installing knowledge at its best. just place: that of universal scout of the collective initiative. I would like to congratulate the IPCC and I am pleased that the support of many States, particularly France, will allow the IPCC to continue its work, which is so important for decision-making in the COP cycle ". For 30 years, the Intergovernmental Panel on Climate Change (IPCC) has been assessing the state of knowledge about climate change, its causes and its impacts. It also identifies opportunities to adapt to expected changes. IPCC reports provide a regular inventory of the most advanced knowledge. This scientific production is at the heart of international climate negotiations. It is also fundamental for alerting policy makers and civil society. 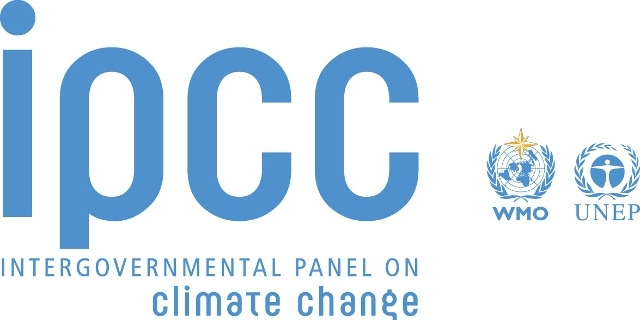 In 2007, the IPCC received the Nobel Peace Prize for its contribution to the mobilization of the international community in the fight against climate change. France has many research teams mobilized on topics related to climate change, involving hundreds of scientists. Dozens of them contribute to the IPCC reports. 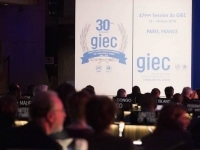 Since 2016, France has also financed the hosting and operation of the technical support unit of Working Group 1, co-chaired by French researcher Valérie Masson-Delmotte.